Gathering volunteers are always contributing in new and unique ways and they never cease to surprise us. One group who has demonstrated this so far is the volunteer group from CG Schmidt. 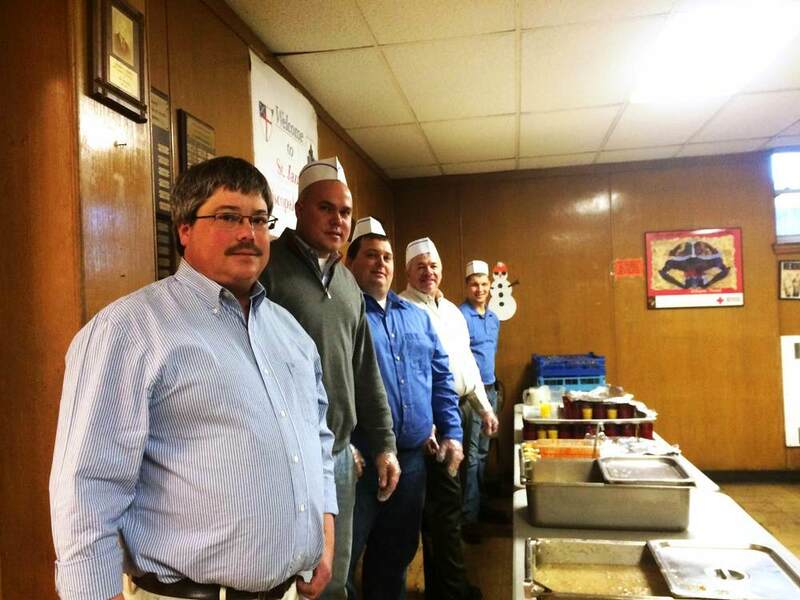 CG Schmidt is a “values-based construction management and general contracting firm, driven by our core value of caring.” Their core value of caring certainly came through when various employees volunteered their time to serve at the Gathering’s breakfast meal throughout December and January. What’s even more interesting is the reason the staff volunteered. Morelli also stated that he is proud of his co-workers. Over the five days of volunteering, there were 32 different volunteer slots filled. Such a good turnout says a lot about the CG Schmidt team and their overall attitude. In addition to volunteering, the staff also prepared bagged lunches to contribute, so guests had something to take away from the meal. While staff members had different reasons for volunteering their time, the caring value was present throughout. We are so impressed with CG Schmidt staff members! Our volunteers continually make a concerted effort to learn more about poverty and hunger, give back to the community and practice compassion. We hope that all of our volunteers are able to take what they learn from their experiences with the Gathering and pay it forward. Learn more about CG Schmidt.